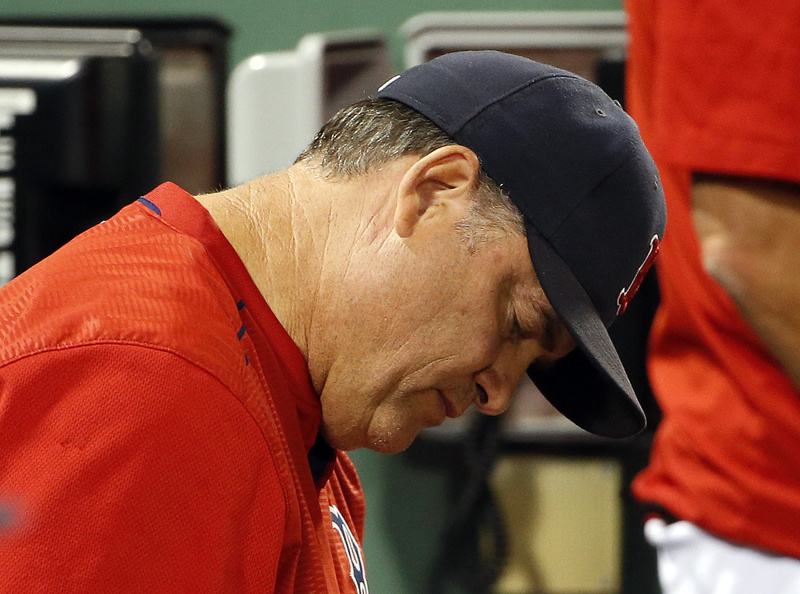 Boston says manager John Farrell and president Dave Dombrowski were not aware of the sign stealing. NEW YORK — The first-place Boston Red Sox have reportedly admitted to Major League Baseball that they improperly used electronic devices to steal signs from their longtime rival New York Yankees. The newspaper said the Red Sox told MLB investigators that Boston manager John Farrell, general Dave Dombrowski and other team executives were not aware of the scheme. “The only thing that I can tell you about repercussions is that to the extent that there was a violation on either side – and I’m not saying that there was — to the extent that there was a violation on either side, we are 100 percent comfortable that it is not an ongoing issue — that if it happened, it is no longer happening,” he said. The Times said the Red Sox told MLB investigators that club personnel watched instant-replay video and then electronically sent pitch signals to team trainers in the dugout, who relayed the information to players. Sign stealing to help hitters know what pitch is coming has long been a part of baseball lore. Most often it happens when a runner at second base peers in to see the catcher’s sign and then subtly flashes a signal – maybe a hand movement, or the positioning of his feet – to the batter to let him know whether the next pitch will be a fastball, curveball or something else. The most famous example sign stealing was a secret for almost a half-century. It took that long before it was positively revealed the New York Giants used a spyglass-and-buzzer system to relay pitch signals to their hitters during their famed 1951 chase of the Brooklyn Dodgers, which culminated with Bobby Thomson’s bottom-of-the-ninth, winning homer in the decisive Game 3 of the NL playoffs. To combat signs being stolen, teams often change their signals when an opposing runner reaches second base. Signs can change from batter to batter and even pitch to pitch – the Yankees are a team that frequently has its catcher go out to the mound to tell pitchers to discuss what to throw. Electronics and video have become more a part of baseball and all sports in recent years. The increased usage has also put leagues on alert over how to control improprieties. The Red Sox are not the only Boston-area team to have dealt with allegations of cheating. The five-team Super Bowl champion Patriots were penalized for “Spygate.” New England was caught videotaping signals being sent in by Jets coaches during a 2007 game. The Patriots lost a first-round pick in the 2008 draft and coach Bill Belichick was fined $500,000. Then the Patriots were docked another first-round pick in the 2016 draft and star Tom Brady was suspended four games by NFL Commissioner Roger Goodell after a league investigation concluded the quarterback conspired to use illegally underinflated footballs in the 2015 AFC championship game against the Indianapolis Colts.